Red Deers are Ready to Rut! Red Deer are Ready to Rut! October marks the start of the dramatic mating season for red deer males. It’s winner takes all, with the dominant male taking control of the females and earning the right to mate with them. The best place to watch the drama unfold? RSPB Minsmere on The Suffolk Coast! 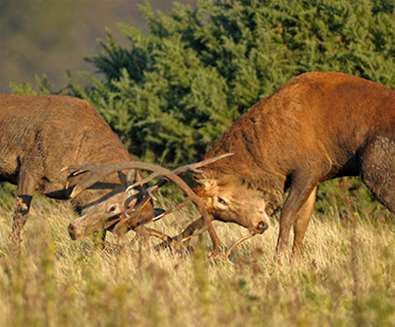 The normally peaceful grounds of the female red deer are soon to be turned into a battlefield as rutting season begins. At this exciting time of year the deer engage in fierce mating battles, as the stags fight each other to win the chance to mate with as many females as possible. 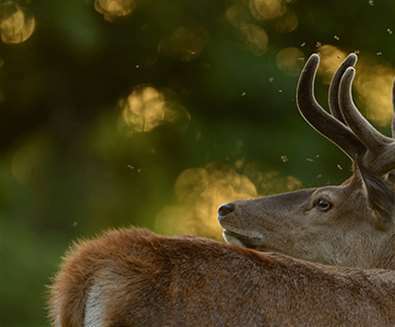 RSPB Minsmere in Suffolk holds the largest herd of red deer outside of Scotland, which visitors can watch on foot from a viewing point that looks out over the fields where these magnificent creatures gather in the autumn for the annual rut. Red deer are famous for their elaborate breeding behaviour: the herd swells in size as females are joined by playful young males, closely followed by the large intimidating stags, intent on nothing else but mating. The male with the loudest bellow establishes himself as the dominant stag and holds court with a harem of females in the centre of the rut. 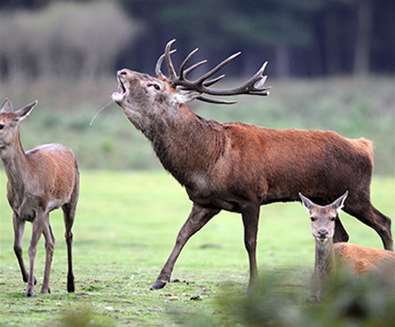 Sometimes bellowing isn’t enough though and battle takes place when a stag of a similar size decides to challenge for superiority – and the right to mate with the harem. The rival paces back and forth, sizing up his opponent. If neither stag backs down, they lock their antlers in violent conflict – although this is a last resort, as injury can be fatal. The fight is often over quickly with the winner living to fight another day. The best times to watch the deer are just after dawn or at dusk, which is when they are most active. 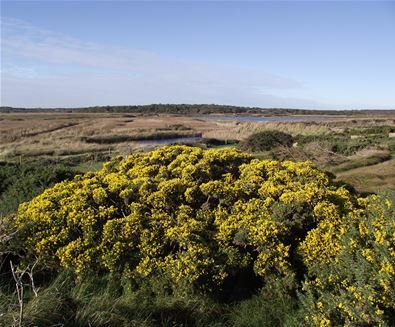 The best place to watch them from is a public viewpoint on Westleton Heath, on the northern edge of the reserve about two miles from the car park and visitor centre. The watchpoint looks south across the main rutting fields, and the deer are usually about a quarter of a mile away. A visit near dawn or dusk is best, especially during October, but the deer are usually visible throughout the day. It is also possible to see smaller numbers of red deer around the visitor trails at any time of year. A map and directions to the viewpoint can be obtained from RSPB staff and volunteers in Minsmere’s visitor centre, where you’ll also find a welcome cup of tea and piece of cake at the end of your walk in the reserve’s excellent café. 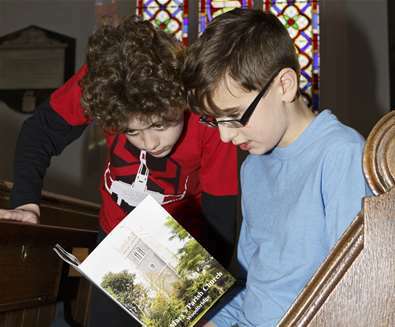 Angels and Pinnacles helps you discover Suffolk’s magnificent medieval churches, among the finest in Europe.